Have you heard of Adobe Configurator? 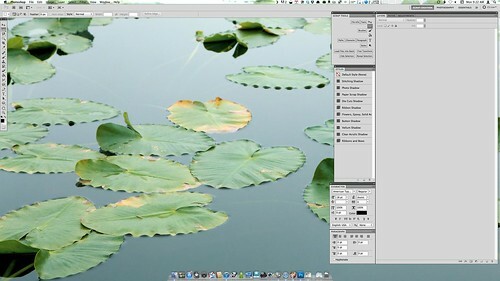 It’s a nifty feature that I learned about while watching Photoshop User TV hosted by Scott Kelby. 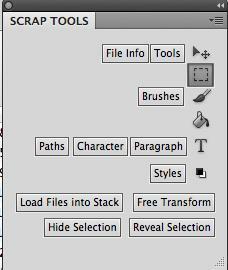 You can create your own custom tool panel to use within Photoshop CS5 or Illustrator. I created a panel of the tools that I use most while creating a scrapbook page. In addition to creating your own panel, you can also save it to share with others (or yourself on different computers). Set up your photoshop windows the way you want them to be every time you open the program, then go to Window-> New Workspace. Save the workspace with an appropriate name. Now while creating, I have the things I use most often at my fingertips. And, the nice part is I can edit these things as my skills develop to suit my needs.